Zombies are all around us these days. You’ll find them in the movies, on television, in videogames, books, and maybe even at the grocery store. 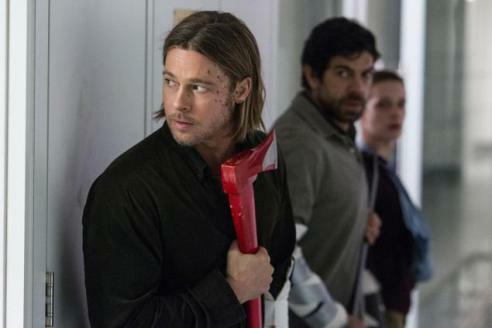 World War Z is not your average zombie movie. It’s not all kill, kill and kill just for the shock value. It’s about trying to survive and stopping the deadly outbreak. Gerry Lane (Brad Pitt) is a family man who works for the United Nations. 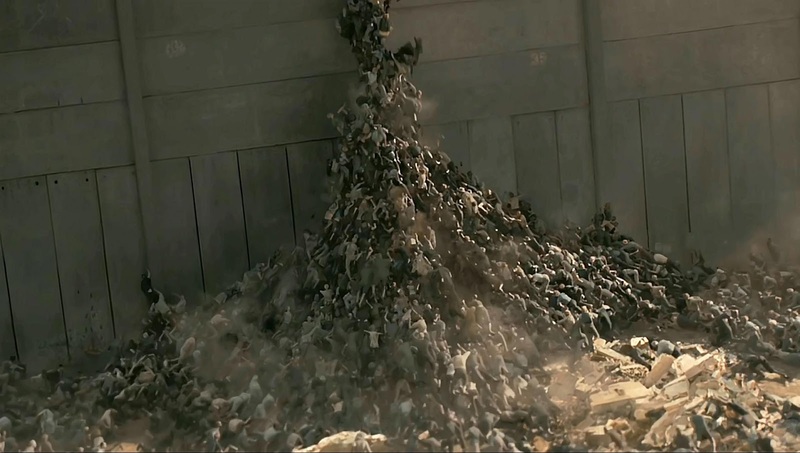 A zombie outbreak is very rapidly destroying the world and everyone in it. In order to protect his family, Gerry is tasked with the job of traveling around the world trying to figure out where the outbreak originated, in hopes of finding a way to stop it. The film is directed by Marc Forster and the rest of the notable cast includes Mireille Enos, James Badge Dale, Matthew Fox, David Morse, Fana Mokoena, and Daniella Kertesz. The movie gets to the point very quickly, developing the characters along the way. Even though there are multiple supporting characters, the film is a one man show. 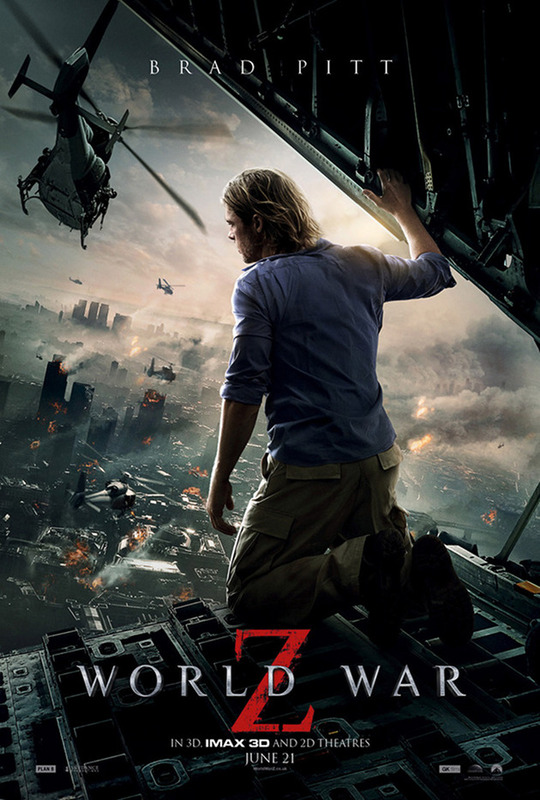 Brad Pitt carries the entire film and does an outstanding job in the process. The special effects are not too overdone and that is a welcomed surprise. The zombies look as scary and real as they can look. The film had some similarities to Contagion (2011) which is not a bad thing, by any means. The movie is not a horror movie, but rather a thriller that will keep on the edge of your seat throughout. Although the movie does gets bloody and gory at times, it never gets too vulgar or over the top. There is very little swearing and nothing about it crossed any lines. In my opinion, the PG-13 rating is very fitting which is not always the case for some movies. 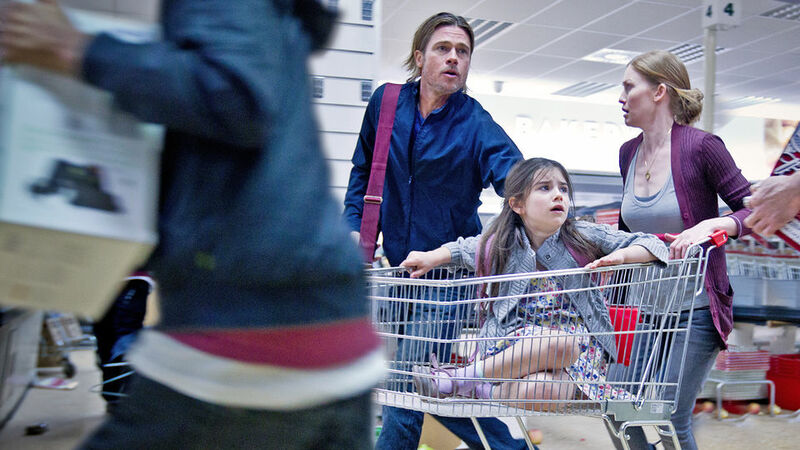 World War Z is an almost family-friendly zombie-apocalypse experience that is immensely entertaining. I rate this movie an 8.5 out of 10. 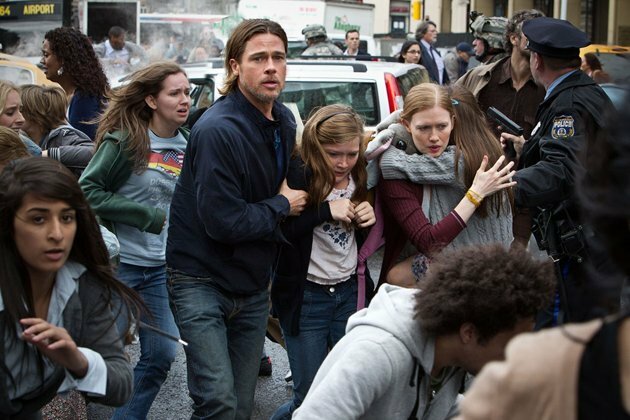 Posted on June 26, 2013, in Action Movie Reviews and tagged Brad Pitt, Contagion (2011), Daniella Kertesz, David Morse, Fana Mokoena, James Badge Dale, Marc Forster, Matthew Fox, Mireille Enos, movie, World War Z (2013). Bookmark the permalink. 3 Comments. The set-pieces are amazing and still scare me a bit right now, but was taken down by the lame script we have here. Good review.